name = "Adipose", fill = "blue", col = "blue"
As define in the image how can I remove the squished track? 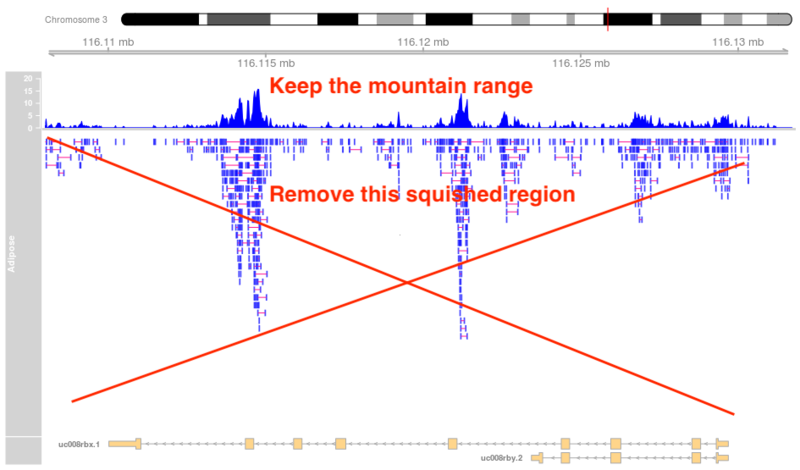 GenomicFeatures: Select exons by transcript. Any faster option than exonsBy? How tximport work with gencode transcripts?